Princes are not bound to give an account of their Actions but to God alone. Charles I (November 19, 1600 – January 30, 1649) was King of England, Scotland and Ireland from March 27, 1625, until his execution in 1649. He famously engaged in a struggle for power with the Parliament of England. Letter to Pope Gregory XV (20 April 1623). Sir Charles Petrie (ed. ), The Letters...of King Charles I (1935), p. 16. Since I see all the birds are flown, I do expect from you that you will send them unto me as soon as they return hither. But, I assure you on the word of a king, I never did intend any force, but shall proceed against them in a legal and fair way, for I never meant any other. I confess that, speaking as a mere soldier or statesman, there is no probability of my ruin; yet, as a Christian, I must tell you that God will not suffer rebels and traitors to prosper, nor this cause be overthrown, and whatever personal punishment it shall please hi to inflict on me, must not make me repine, much less give over this quarrel... Indeed, I cannot flatter myself with the expectation of good success more than this, to end my days with honour and a good conscience. I am no less confident, that no learned lawyer will affirm that an impeachment can lie against the King, they all going in his name: and one of their maxims is, that the King can do no wrong. For the people. And truly I desire their Liberty and Freedom as much as any Body whomsoever. But I must tell you, That their Liberty and Freedom, consists in having of Government; those Laws, by which their Life and their goods may be most their own. It is not for having a share in government (Sir) that is nothing pertaining to them. A subject and a sovereign are clean different things, and therefore until they do that, I mean, that you do put the people in that liberty as I say, certainly they will never enjoy themselves. Sirs, It was for this that now I Have come here. If I would have given way to an Arbitrary way, for to have all Laws changed according to the power of the Sword, I needed not to have come here; and therefore, I tell you, (and I pray God it be not laid to your charge) That I Am the Martyr of the People. On the scaffold before his execution. (30 January, 1649). I go from a corruptible to an incorruptible Crown, where no disturbance can be, no disturbance in the World. Last words, said on the scaffold before his execution. (30 January, 1649). Unlike James, Charles looked every inch a Divine Right monarch, despite his short stature. That is, he bore himself with regal dignty and maintained proper courtly etiquette at all times. He was also monogamous and kept a much more respectable court than his father. Highly cultured, he was probably the greatest connoisseur ever to sit on the English throne. Charles sent his diplomats scouring the studios of Europe to fill Whitehall Palace with the most distinguished collection of artwork of any early modern ruler. At his insistence both Rubens and van Dyck came to England and painted for the Stuarts. Van Dyck's portraits of the royal family are one of the great achievements of Western art and kingly propaganda, projecting an image of monarchy so serenely confident in its exercise of divinely inspired royal power. Unfortunately, that image also concealed a more ambiguous reality. As with so many rulers before him, the new king's good qualities had a dark side. Charles's sense of royal dignity often struck his subjects as mere aloofness; indeed, it cannot be said that he was often generous or possessed of a common touch. Perhaps his punctiliousness compensated for insecurity: over his short stature, his stutter, and his general awkwardness in dealing with people. Unlike his voluble father, Charles was a shy and reticent man who, nevertheless, rarely took advice. He would make a decision or issue an order as a matter of royal prerogative, without consultation, then expect unquestioning obedience, no matter how apparently absurd the demand. He felt no need to explain himself to his parliaments or his people. As a result, his enemies were often able to put their own "spin" on his motives. His authoritarianism was the product of an inflexible mind which saw dissent as disloyalty, retreat as a sign of weakness. That is, unlike James, Charles was very nearly incapabe of compromise or even understanding opposing viewpoints. His court may have been more decorous than his father's, but it was also more narrow. Buckingham was allowed no rival in distributing patronage and politicians out of royal favor received clear signals that they were not welcome. This left the court isolated from opinion in the rest of the country. Charles did not wish to moderate between competing views; he expected compliance and he was perfectly capable of being disingenuous or duplicitous in order to win it. Refusing to recognize the court's authority, Charles stood or sat impassively and disdainfully, but with great dignity, as the prosecution sought to make its case. The spectacle must have been impressive: the largest medieval hall in England packed to the rafters with spectators. At its south end, on several tiers of red velvet benches sat the commissioners: assorted army officers, MPs, and gentlemen, presided over by a heretofore obscure judge, John Bradshaw (1602-59). Before them sat an array of lawyers and clerks, all in black. At the north end and in the upper galleries, crowds of spectators, held back by wooden rails and soldiers in their red coats. On the other side of a hastily constructed wooden partition, in a makeshift dock in the middle of the hall, the magnetic object of all eyes, a solitary figure in black, but for the brilliant blue and silver of the Star and Garter- the king. Given his refusal to make or plead a case, the verdict was a foregone conclusion. King Charles was found guilty of high crimes and misdemeanors against the people of England. On January 27 he was condemned to death by beheading. At this point he demanded to speak, but Parliament was not about to let him do so now. Instead, 59 commissioners signed the most notorious death warrant in English history. Years later, upon losing the first English Civil War, Charles I had stated "that if I cannot live as a king, I shall die like a gentleman." He now set about to do precisely that. The night before his execution, the king burned his papers and saw his youngest children for the last time. The next morning, January 30, 1649, he rose and, after asking about the weather outside, put on an extra shirt for the walk across St. James' Park to the scaffold: ever concerned with the dignity of his appearance, Charles did not want to create an impression of fear by shivering. He was escorted by armed guard through the park to the Banqueting House at Whitehall- one of those expensive building projects of his father's which had so alienated the English taxpayer. One wonders what he thought as he walked through the hall under its magnificent ceiling- a depiction of his father's apotheosis in heaven by Peter Paul Rubens- and thus the sort of expensive art project which had proved controversial in his own ill-fated reign. At the end of his walk was an open window facing west; outside it a scaffold draped in black, at the center of which was the block. Beyond and below stood a crowd of ordinary Londoners, held back by solders. The king emerged ito the gray light of the January day and asked to speak, but, dogged by his weak voice and bad luck to the last, he was inaudible. He then turned to his Archbishop of Canterbury, William Juxon (1582-1663), and remarked that the executioner sent him "from a corruptible to an incorruptible crown." Turning to the block, he knelt down, said a brief prayer, and in signal worked out with the henchman beforehand, stretched out his hands. The axe fell and, as was customary, the executioner raise the late king's head for all to see. It is said that at this sight, which normally elicited cheers, the crowd uttered a deep groan. Cromwell's charge at Naseby determined the Civil War. When the grim Ironsides rode down the more splendid cavalry that mustered under the royal standard, they destroyed Charles's last chance of keeping the open field. Thenceforth, all he could do was to move about amongst his strongholds, the reduction of which was the only work that remained to be accomplished by the victorious army of the parliament. One after another, some by storm and some by famine, garrisoned cities, towns, and fortified mansions fell into the hands of Fairfax and Cromwell, and as the year 1645 approached its termination, the parliamentary forces began to hem in the king's last place of retreat, the loyal and beautiful Oxford, the capital of the Cavaliers. The Roundheads were first discerned from the old tower of Oxford Castle, crowning the heights at a distance from the city. They soon approached nearer, commanding every road, and seizing every defensible point; but it was not until Fairfax had cleared the West, and driven the Prince of Wales to Scilly, that he returned northward with the main body of his troops, and prepared to invest Oxford in due form. The question then arose- What was the king to do? His friends, even the most sanguine, deemed his cause irretrievably lost. 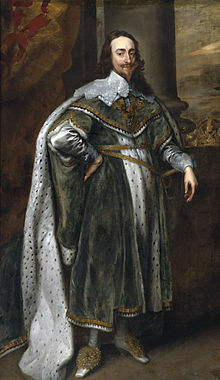 Without money, his supporters ruined by the sacrifices they had already made, his garrisons compelled to plunder as their only means of support, and the country consequently universally disaffected towards the royal cause, it was impossible that the king could carry on the contest any longer. What then was he to do? He had now tried almost all possible courses. He had endeavoured to govern with a parliament, and had failed. He had striven to do so without a parliament: in that also he had failed. Again, he had been induced to call a parliament by which he had been driven into concessions, but they were made grudgingly, in bad faith, and with the clear intention of being resumed as soon as possible: in this course he had also failed. Lastly, he had appealed to the final arbiter of national disputes, and again the result had been adverse to his hopes. His subjects, esteemed the most loyal people in Europe, had met him, front to front, in the open field. His choicest troops, commanded by some of the bravest of the English nobility, had been beaten in many successive engagements, and, finally, had been cut to pieces and utterly destroyed. What now remained for him to do? Peace, upon the best terms that could be obtained, was the ardent longing of every one. The staunchest Cavaliers saw that submission was a bitter but unavoidable necessity. The victorious party must have its way. The cause had been decided in their favor. The losers must submit. Such was the feeling and the reasoning of the Cavaliers, but not of the king. Submission was a thing to which Charles could never be brought. It was his candid avowal with respect to his own character, that he could never yield in a good cause; which every man thinks his own cause to be. True, it was no longer possible for him to gain his ends by active measures; but he had not ceased to be a power in the State. If he could not govern, he might prevent his enemies from doing so. The weary and exhausted country could have no peace without him. If those who were opposed to him desired tranquility, they must have it upon his terms. He was beaten, vanquished, ruined, but no earthly power could induce him to sacrifice his royal dignity by yielding the principal points which were in dispute. He believed that the machine of government could not act without him; that if he could only keep the public affairs long enough in the condition of dead-lock to which they were reduced, his enemies would be wearied, or would be forced by the people, into yielding to his terms. His mind was as full as ever of the most exalted notions of the sacred and indefeasible character of his royal authority. All who opposed him were, in his estimation, wicked rebel whom God would judge. It was his place to govern, and that of his people to submit. His sins of misgovernment never occurred to him. Regret that for many years his course of action had been totally wanting in the kingly virtues of justice and fair dealing never entered his mind. It never troubled him that he had sought to govern in defiance of his own concessions, in opposition to the even then acknowledged principles of the constitution, and in breach of his coronation oath. The only things which grieved him were his concessions to the popular fury which himself had roused. While such was Charles' state of mind, peace was out of the question. On the side of parliament, it was clearly seen that when a king sets up his standard against his people, he must conquer or submit; and that if, having failed to conquer, he refuses to submit, he must be deposed. To have yielded to him on the ultimate points of the contest, would have been to have relinquished the fruits of the warfare in which parliament had been victorious. What then was to be done? Simply to follow him through a succession of messages and answers, until it became apparent to the people that the country must be governed without him. That was the course for parliament, but what remained for the king? Nothing but to fall back upon his old course of intrigue. Without much talent for intrigue, or even much dexterity in its practice, Charles had great fondness for being engaged in it. In all difficulties it was his resource, and at the time with which we are dealing he was fanatically sanguine that some one or other of his little subtle stratagems would ultimately succeed. We are accustomed to associate the notion of fanaticism with the opposite party only. They concluded that the cause of the parliament was righteous and favored by God because it was successful. Every one sees this to have been a dangerous judging of the ways of Providence from partial results. We can all join in condemning conclusions so presumptuous and so illogical. But the same reasoning was equally rife at Oxford as at Westminster. Charles attributed his want of success in the war to God's anger against him for his concurrence in the death of Stafford. He confidently anticipated the approach of a time when he should have drained the cup of vengeance. Mercy would then, he presumed, take the place of justice, and the storm of heavenly wrath, transferred from him, would fall heavily on the heads of his enemies. To help on the ends of Providence, to expedite, as he supposed, the coming of that happy day, and to gain time until it shoud dawn, were the objects of the many intrigues in which he was involved during the year 1646. Thus goaded, Charles, accompanied by three or four hundred swordsmen- "Cavaliers" we may now call them- went down to the House of Commons. It was January 4, 1642. Never before had a king set foot in the Chamber. When his officers knocked at the door and it was known that he had come in person members of all parties looked upon each other in amazement. His followers beset the doors. All rose at his entry. The Speaker, William Lenthall, quitted his chair and knelt before him. The King, seating himself in the chair, after professing his goodwill to the House, demanded the surrender of indicted Members- Pym, Hampden, Holles, Hazelrigg, and Strode. But a treacherous message from a lady of the Queen's Bedchamber had given Pym a timely warning. The accused Members had already embarked at Westminster steps and were safe amid the train bands and magistrates of the City. Speaker Lenthall could give no information. "I have only eyes to see and ears to hear as the House may direct," he pleaded. The King, already conscious of his mistake, cast his eyes around the quivering assembly. "I see that the birds are flown," he said lamely, and after some civil reassurances he departed at the head of his disappointed, growling adherents. But as he left the Chamber a low, long murmur of "Privilege" pursued him. To this day the Members for the City take their places on the Treasury bench at the opening of a session, in perpetual acknowledgement of the services rendered by the City in protecting the Five. By the end of 1648 it was all over. Cromwell was Dictator. The Royalists were crushed; Parliament was a tool; the Constitution was a figment; the Scots were rebuffed, the Welsh back in their mountains; the Fleet was reorganized, London overawed. King Charles, at Carisbrooke Castle, where the donkey treads the water wheel, was left to pay the bill. It was mortal. Plainly the fruit of the victory that could most easily be gathered was the head of the king. True, he had never moved from Carisbrooke, but was he not the mainspring of the whole of this vast movement of England against the Army, its rule, even its pay? Was he not the pivot upon which all public opinion turned? Did he not embody all those courses which the Ironsides either hated or could not unravel? Was he not a trophy gained by march and battle? At a moment of great hesitancy in matters of government, when everything was fluid and uncertain, here was a supreme act which all could understand and upon which the Army could unite. The execution of Charles Stuart, "the Man of Blood," could alone satisfy the soldiers and enable their leaders to hold their obedience. A strange destiny had engulfed this King of England. None had resisted with more untimely stubbornness the movement of his age. He had been in his heyday the convinced opponent of all we now call our Parliamentary liberties. Yet as misfortunes crowded upon him he increasingly became the physical embodiment of the liberties and traditions of England. His mistakes and wrong deeds had arisen not so much from personal cravings for arbitrary power as from the conception of kingship to which he was born and which had long been the settled custom of the land. In the end he stood against an army which had destroyed all Parliamentary government, and was about to plunge England into a tyranny at once more irresistible and more petty than any seen before or since. He did not flinch in any respect from the causes in which he believed. Although, no doubt, in bargainings and maneuvers with his enemies he had practised deceit and ill faith, these arose from the malignancy and ever-shifting character of the quarrel, and were amply matched upon the other side. But he never departed from his central theme either in religion or State. He adhered unswervingly to the Prayer Book of the Reformed Church and to the Episcopacy, with which he conceived Christianity was to be interwoven. By his constancy, which underlay all the shifts and turns of the tumultous and swiftly changing years, he preserved the causes by which his life was guided. He was not a martyr in the sense of one who dies for a spiritual ideal. His own kingly interests were mingled at every stage with the larger issues. Some have sought to represent him as the champion of the small or humble man against the rising money-power. This is fanciful. He cannot be claimed as the defender of English liberties, nor wholly of the English Church, but none the less he died for them, and by his death preserved them not only to his son and heir, but to our own day. I tell you we will cut off his head with the crown upon it. Amidst the wreck of his fortunes Charles seized on the growing discord among his opponents as a means of retrieving all. He trusted that the dread of revolution would at last rally the whole body of conservative Englishmen round the royal standard; and it is likely enough that had he frankly flung himself on the side of the Parliament at this juncture he might have regained much of his older power. But, beaten and hunted as he was from place to place, he was determined to regain not much but all. The terms which the Houses offered were still severe; and Charles believed that a little kingcraft would free him from the need of accepting any terms whatever. He therefore intrigued busily with both parties, and promised liberty of worship to Vane and the Independents at the moment when he was negotiating with the Parliament and with the Scots. His negotiations were quickened by the march of Fairfax upon Oxford. Driven from his last refuge at the close of April 1646, the King had to choose between a flight from the realm or a surrender to one of the armies about him. Charles had no mind to forsake England when all seemed working for his success; and after some aimless wanderings he made his appearance in May in the camp of the Scots. On the twentieth of January Charles appeared before Bradshaw's Court only to deny its competence and to refuse to plead; but thirty-two witnesses were examined to satisfy the consciences of his judges, and it was not till the fifth day of the trial that he was condemned to death as a tyrant, traitor, murderer, and enemy of his country. The popular excitement vented itself in cries of "Justice," or "God save your Majesty," as the trial went on, but all save the loud outcries of the soldiers was hushed as, on the 30th of January, 1649, Charles passed to his doom. The dignity which he had failed to preserve in his long jangling with Bradshaw and the judges returned at the call of death. Whatever had been the faults and follies of his life, "he nothing common did, nor mean, upon that memorable scene." Two masked executioners awaited the King as he mounted the scaffold, which had been erected outside one of the windows of the Banqueting House at Whitehall; the streets and roofs were thronged with spectators; and a strong body of soldiers stood drawn up beneath. His head fell at the first blow, and as the executioner lifted it to the sight of all a groan of pity and horror burst from the silent crowd. The news of the King's death was received throughout Europe with a thrill of horror. The Czar of Russia chased the English envoy from his court. The ambassador of France was withdrawn on the proclamation of the Republic. The protestant powers of the Continent seemed more anxious than any to disavow all connexion with a Protestant people who had brought their King to the block. Holland took the lead in acts of open hostility to the new power as soon as the news of the execution reached the Hague. The States-General waited solemnly on the Prince of Wales, who took the title of Charles the Second, and recognized him as "Majesty," while they refused an audience to the English envoys. Their Stadtholder, his brother-in-law, the Prince of Orange, was supported by popular sympathy in the aid and encouragement he afforded to Charles; and eleven ships of the English fleet, which had found a refuge at the Hague ever since their revolt from the Parliament, were suffered to sail under Rupert's command, and to render the seas unsafe for English traders. The danger however was far greater nearer home. Historians are in general agreement that Charles I was a lamentable failure as a monarch and by 1640 he had alienated most of his subjects. While far from being a stupid man, Charles was temperamentally authoritarian, holding to an exalted notion of the nature of kingship as God-given and denying opposition any legitimacy. Cold and aloof, he lacked basic political skills and judgment and came increasingly to be seen as untrustworthy. He made concessions with the greatest of reluctance, and sought to reverse them later, and gained a well-deserved reputation for deviousness by negotiating with opponents while, at the same time, planning to use force against them. He pursued unpopular policies, none more so than his disastrous religious policy, and he was personally responsible for the decision to impose the Scottish prayer book which set the whole chain of events that would eventually lead to civil war in motion. Yet the entire responsibility for the conflict cannot be laid at Charles' door even though he had an important part to play in making it possible. In the early part of 1642 only two small minorities saw a resort to force as either necessary or inevitable. There were a few wholehearted royalists who for some time had been telling the king that if he did not show a willingness to defend his rights by force he would never be able to stop the steady erosion of his power; and there were a few radical puritans who were ready to resort to force to bring about sweeping changes in the government and doctrine of the church. But the vast majority of the two Houses of Parliament, of the nobility and gentry in general, of the government officers, of the lawyers, of the mayors and aldermen of the towns, of the leading merchants, in other words, the great bulk of the governing classes, still deplored the thought of resolving the disagreement by force, and still hoped for and expected agreement between the king, Lords and Commons. Yet they were steadily being divided into two parties during 1642; parliamentarians, who distrusted the king and demanded more restrictions on his power, at least for a time until they could trust him with greater power again; and royalists, who were unhappy about reducing the power of the crown too much, and longed to be able to trust the king. This was not a division over religious or political ends. Thus men from the same social background and with the same economic interests, with similar political and religious ideas, found themselves in opposite parties, for the decision they had to take in 1642 was not a decision about the best form of government for the church or for the state, nor about the changes in the social or the economic order, but simply whether or not to trust Charles I. Many of those who distrusted the king and regarded his obstinacy as the only obstacle to agreement consented to the raising of an army under the command of the Earl of Essex because they thought that a show of force would make the king more reasonable. They believed that no more than a show of force would be necessary because the king appeared to have few supporters and small means to raise an army; he would not be able to fight and would be obliged to negotiate. But the king proved to have more supporters and greater resources than at first appeared. For many were willing to trust him now that he seemed almost powerless. They did not wish to see him forced into an abject surrender which would permanently weaken the crown. They supported him because they thought that when parliament saw that he had the means to fight it would moderate its demands and reach an agreement without bloodshed. So by the end of summer 1642 there were two armies on foot in England, and the country found that it had drifted into a civil war that few wanted to fight. Distrust was the main obstacle to agreement between king and parliament, but it might not have been an insurmountable obstacle without the conjuncture of other factors, which involved the lower classes in the crisis and drove a deeper wedge into the ruling class. These other factors were the fear of papists, the sharp decline of trade and industry, and an upsurge of class-feeling and class-hostility.